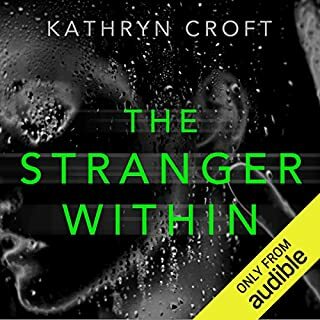 Find an exclusive Q&A session with the author at the end of this audiobook. 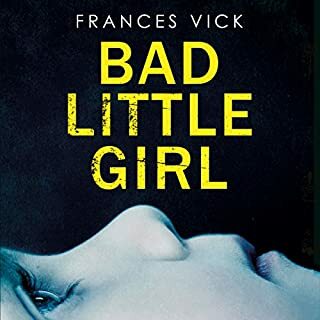 With those around her oblivious to her plight, the girl who used to be Helen loses her sense of self and withdraws into a spiral of behavioral problems, delinquency, and mental illness. In time, she's not even sure of her memory of the switch. Twenty-five years later, she receives a call that threatens to pull her back into her sister's dangerous orbit. Will she take this chance to face her past? 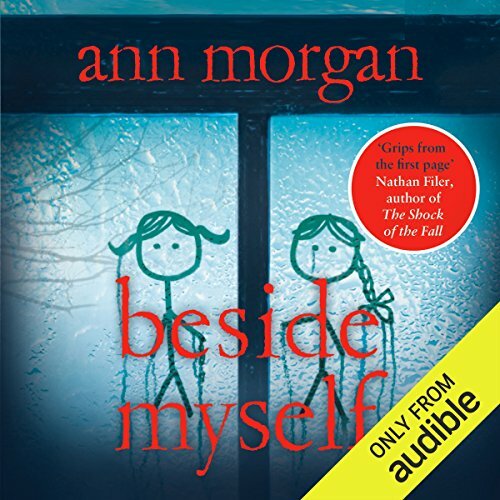 ©2016 Ann Morgan (P)2015 Audible, Inc. This story is hard for me to rate. On the one hand, I LOVED the author's brilliant writing and psychological insight. On the other hand, it was a painful listen. For 12+ hours, I listened to the main character endure one psychological blow after another. I almost gave up on this one, because my empathy for the character made it a torturous listen! If I were rating the writing, I'd give it 5 stars for sure. In the end, I deducted one star because...frankly...I'm relieved to be finished with this one! This book takes an in-depth look at twins in an identity crisis. I've known identical twins who swapped places to take exams in high school because each was better at one subject or other, but never considered what would happen if one refused to switch back. This is quite a gripping story, and avoids the twin cliches present in other suspense stories I've read. A true psychological thriller, full of madness and sadness and love. This is a sad story and pretty dark and upsetting at times, but is well written and worth a listen, but only if ur not easily upset. no twists or turns, just a story about a troubled twin and her family. A little hard to follow at first, a little confusing. I would categorize this as a dark drama. Interesting story but not what I thought and I'm rather confused about all the other reviews. I chose to listen to Beside Myself and loved the narrator Lisa Coleman. She did a fantastic job with character voices and it was not an easy task. I was able to identify who was speaking from young Ellie (Helen) to adult Ellie (Helen) and the many different personalities. She even captured Ellie and Helen’s cruel mother in all her venomous glory. I will warn you, none of the characters are likeable or even reliable. Ellie and Helen have an awful mother and I had evil thoughts about her. Morgan puts forth a scenario that is freaking scary and shares the consequences. The stories told through Ellie’s perspective who is the “real Helen.” Morgan uses “you” rather than “I” when Ellie (Helen) relays the story and I found it clever. Her childhood is dark, and there are quite a few triggers for those who are sensitive. View Spoiler » She grows up in the shadow of Helen the “real Ellie” and is cast into the role of underachiever, troublemaker and second best. It is all rather unnerving. Of course, the louder she protests the more she looks and acts like the real Ellie. As adult Ellie, (the real Helen) refers to herself in third person as Smudge and is quite delusional. She is estranged from her family and refuses any contact with her sister. When her sister falls into a coma, things come to a head. She discovers her sister was on her way to see her when the accident occurred. Forced back into their circle she wonders if she may finally be able to prove who she really is. Things get complicated and twisted as truths are revealed. It was quite crazy and I found myself completely wrapped up in the unraveling of it. Beside Myself touched on psychological disorder, dysfunctional family, the effects of trauma and more. While I found the story to be compelling there were occasions when I rolled my eyes at this collection of family members and the situations the author placed them in. Not everything that happened seemed plausible or perhaps too much happened. Either way I enjoyed listening. Really enjoyed the narration, but seriously thought the story would go someplace interesting, with a big twist at the end, though this never happened. Instead, the story just seemed to wrap up on a rather predictable note. Will probably return it, and use my credit on a much better book. This is one of those stories that you don't want to stop listening to. Filled with short comings and flaws, the characters are very human. Everyone has a relative who is like Helen and Ellie's mother. I also feel that the description of mental illness was amazing. Good listen! I rate books but I don't often comment. I just can't move on to the next book until I state how perfect this book is. I work with traumatized children and this book rings true in so many ways. Amazing. I chose Beside Myself in spite of what I thought was a schmaltzy title, because of my interest in twin-ship. I was surprised to we swept up in an engrossing story, played out on the roller coaster ride of bi-polar disorder. This is not a mystery novel with a twist. It is the heartbreaking portrayal of a woman's struggle to live with mental illness. I could have gone without this one. Takes the reader on a journey with a nonsense ending. I was absolutely bowled over by this book. 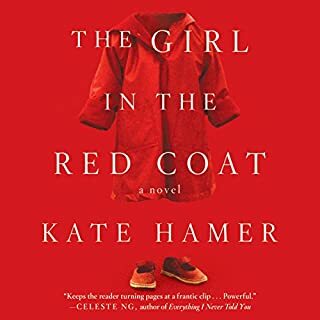 Part psychological thriller and part exploration into mental illness, it is a compelling listen brought brilliantly to life by Lisa Coleman. The heroine 'Smudge' is a complex woman who at times can appear hard and unlikeable, but conversely there is nothing in her story that left me unmoved. The mystery of her identity swap was genuinely intriguing and the full extent of her background mystery is played out to the very end of the book. I was saddened, I was infuriated and I was rooting for her throughout and she is a character I will remember for a very long time. This comes with my strongest recommendation. Gosh!!! I hadn't anticipated such a story. Harrowing at times, funny occasionally but mainly quite shocking. A couple of times it dragged but the rest was addictive. Very well narrated and this story will get under your skin. A gem of originality. A great insight into a different life. Really made me question nurture v nature and how our lives span out in front of us. Very good read although you need to suspend disbelief sometimes, but not enough to spoil what is nonetheless an engrossing narrative. This book is intriguing, strange and interesting. The characters are well written and you really care about the central protagonist. Narration is also top notch. I am sad to have finished this as I felt like I had gone on a journey with the main character and also because this is the author's debut novel so there is nothing else available to fill the void. Very well written, really enjoyed the performance of the reader also. Impressive debut novel. The reason I've avoided giving it 5 stars is because I struggled to get through the story without wanting to give up to save myself from any more sadness. Very sad to hear the protagonist's never-ending battle with some truly awful characters, with no hint of retribution or luck, or remorse from those who wrong her. I normally very much enjoy a thriller, but in this instance I'll need to listen to a trashy feel-good just to compensate! 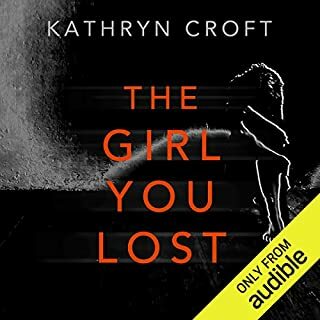 Brilliant audio book. The narration was excellent. 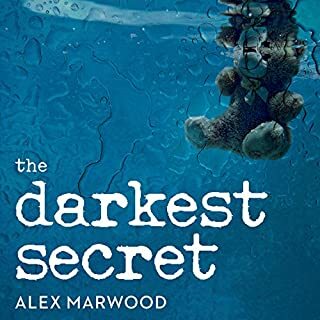 The story hooked me from the start and it was a well written and insightful description of mental health difficulties. Am sad I've finished this one. Brilliant story,I enjoyed how each chapter told the story of the main character in different ages,lovely descriptive of the art within the story line,great narrator. I can scarcely believe this is a debut novel, such is the deftness of the writing. The characters are well drawn and as we are sucked into the damaged minds of the twins I really felt as though I understood what it might be like to suffer the highs and lows of a bi-polar disorder. This is not a psychological thriller in the 'whodunnit' sense, but a psychological drama which captures the reader from the outset and delivers them somewhat exhausted out the other end. I can not recommend this book highly enough. Smudge - from the incipient signs of the illness which was to later grip and dictate her life, the reader (listener) was able to understood her reactions and motivations. Extraordinary. What about Lisa Coleman’s performance did you like? Beautiful narration with total understanding for the characters and the content. A must listen! 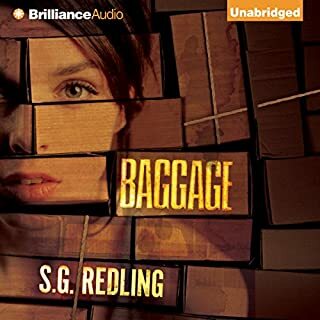 I devoured this audiobook in two sittings, great story with fitting narration.